WHERE YOU FROM?!? : Montage – How does Viva Vison work? WHERE YOU FROM?!? 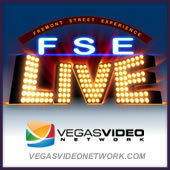 : Montage – What’s in store for FSE 5 years from now? WHERE YOU FROM?!? : Montage – More bands coming? WHERE YOU FROM?!? :Trio from the UK – How Much is the Electricity Bill?